Portugal offers mouth watering food, rich medieval and Gothic history, stunning vistas and a gorgeous all year round climate, all in a package that must be as close as you can get to a backpacker-friendly budget when it comes to European travel. It’s been named as a must visit from several outlets, “the place” to visit in 2017. It hasn’t always been this popular, but it has always been this good! Here’s a few things to see and do that are worth your time in Portugal. 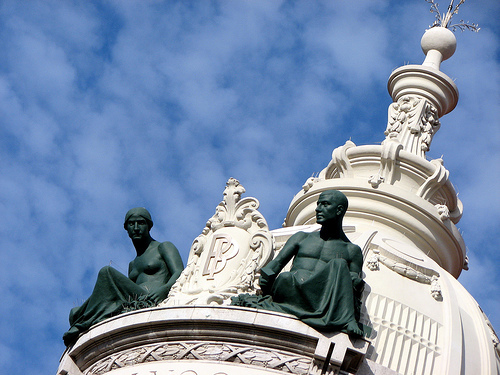 Perfectly embracing its cultural heritage whilst maintaining modern suave, welcome to Lisbon. It’s constantly receiving accolades as one of the top 10 cities in the world to visit. You must take tram ride on the Number 28 Tram – these yellow little gallivanters screech their way throughout the narrow streets and one can’t visit Lisbon without hopping on. Go and soak in the nightlife scene that is Barrio Alto. Buzzing with acceptance and grace, where a rabbit tunnel of hipster bars, tiny clubs packing boom and live music venues to please all those seeking a night out. Explore the narrow warrens of Alfama by foot, once traditionally the poorest area of Lisbon, where the sailors and dockworkers lived in poverty, it is now a trendy area of family run cafes, boutique shops – don’t worry about cars, because the roads in Alfama are too small for them. 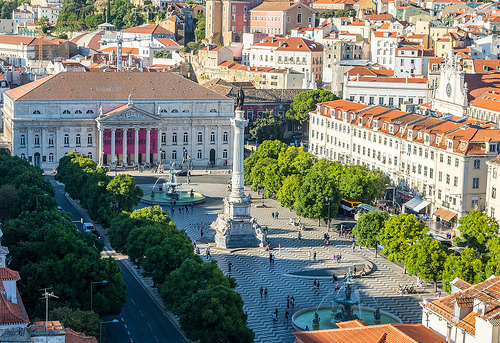 Lisbon will have no problem accommodating travellers of all tastes and styles, with student accommodation, hotels and hostels scattered all around. 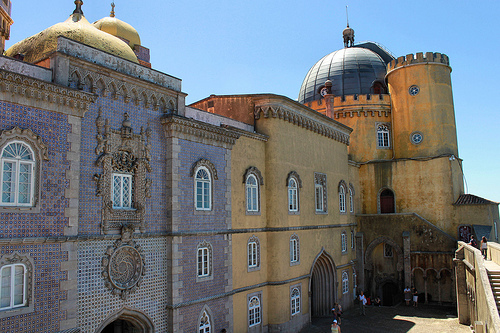 Located in Sintra, Portugal, this gorgeous multi-coloured jewel plays a dazzling game with the Portugese sun. Lord Byron wrote to his friend Francis Hodgson in 1809, “I must just observe that the village of Cintra in Estremadura is the most beautiful in the world.” Wherever you are in this brilliant little city, your eyes will fall to the Palacio Nacional de Pena. UNESCO has taken the building under its wing, and it’s not difficult to see why. Creative splashes of public street art, a vibrant design scene, delicious musty cellars stocked with port, delicious food markets and family-run taverns serving up incredible fish fresh from the Atlantic. You’ll be dazzled by the miradouros (lookouts) that reduce the city to sprawling puzzle pieces bell towers and churches and green gardens sprinkled with fountains. 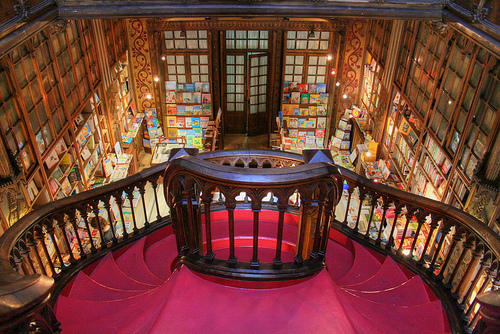 Swing by Livraria Lello bookstore, rumoured to be JK Rowling’s inspiration for the grand staircases of Hogwarts during her brief marriage to a Portuguese journalist. There’s plenty of hostels, hotels, and student accommodation – so quit browsing online and get booking. Welcome to University Town. Braga, one of the oldest cities in Portugal, plays host to a litany of students and you know what that means – it’s teeming and it’s lively! It’s also a city of churches, so if you like historical religion with a heavy focus on the Roman occupation and you also like student life – Braga is the place for you. Check out the Bom Jesus Sanctuary, a must visit city icon with its winding Baroque monumental staircase. It also offers wonderful panorama views of the city. The 12th-century Sé (Cathedral) is also not to be missed. It’s guaranteed you’ll be charmed upon your first visit to Portugal. It’s a place that weaves tolerance and tradition together in a friendly and welcoming manner. And if you want some beach time, you are never far from a stunning beach. 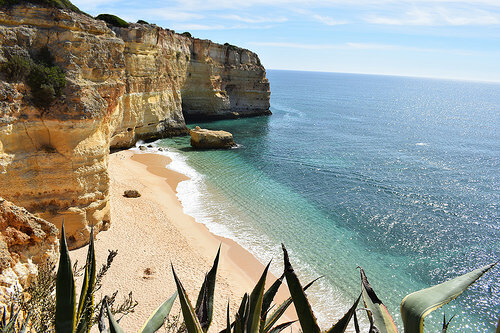 I love to visit Portugal! I got good information from your article!